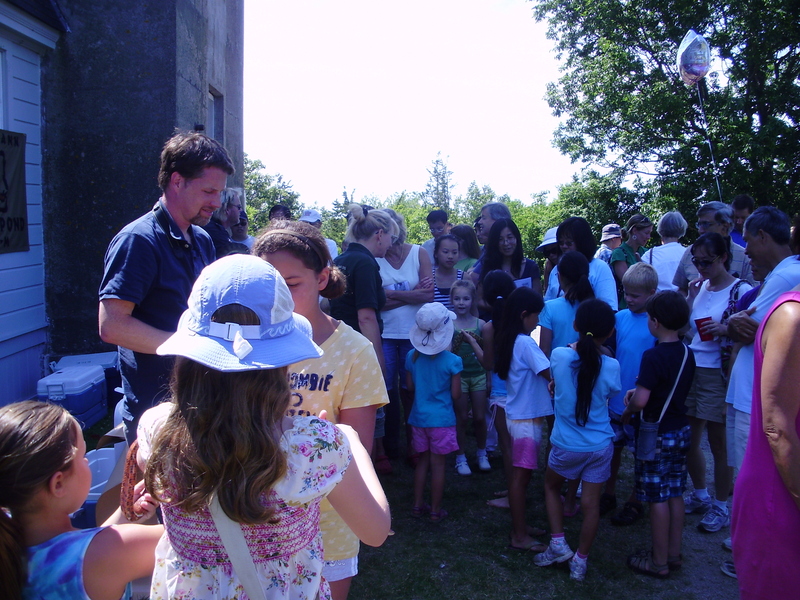 The August 2011 schedule of special events at Halibut Point begins on Saturday, August 6 at 1:00pm with Nature Day – two back-to-back live animal programs featuring creatures seldom seen. It starts with Nocturnal Mammals with The Center for Wildlife from Cape Neddick, Maine. The Center, one of the largest wildlife rehabilitation facilities in New England, is bringing along some of their wildlife ambassadors who will demonstrate the advantages and challenges of nocturnal life and reveal their unique adaptations to life in the dark. Following Nocturnal Mammals at 3:00pm Richard Wolniewicz of Mass. Audubon is offering Essex County Amphibians and bringing along newts, frogs, toads salamanders and more. Special events for the weekend of August 6-7 continue on Sunday the 7th at 2:00pm with the Gloucester Area Astronomy Club offering The Sun: Exploring Our Nearest Star, a safe solar viewing program featuring some special activities ans NASA handouts. The Atlantic Path, a three-hour trek along Rockport’s resplendent public coastline, is being offered on the Sundays of August 14 & 28 from 1-4:00pm. Please be advised – this hike entails negotiating some challenging terrain. Also consider not wearing shorts, bringing water and some insect repellent of choice. On Sunday, August 21 at 8:00am Peter Van Demark is hosting the monthly Birding for Beginners at Halibut Point. As usual, meet peter in the parking lot. Shakespeare in the Park with the Rebel Shakespeare Company is returning to Halibut Point on Saturday, August 27 at 5:00pm with The Taming of the Shrew. Bring a blanket or chair and a picnic for this production overlooking the former Babson Farm quarry. Standard programs at Halibut Point in August 2011 is the Quarry Tour on Saturdays at 10:00am. The Military History of Halibut Point is offered on the Thursdays of August 4 & 18 at 12:00pm and Tidepools will be on Thursday, August 25 at 1:00pm and on Friday the 26th at 2:00pm. Also in August, Reading the Granite Landscape, a natural history of granite told via geology, plant communities, environmental forces, human use and more is being offered on the Mondays of August 8, 15 & 22 at 10:00am. For a flyer you can download describing Halibut Point’s Augsut 2011 schedule, click here.